At Optimum Mens Health, in addition to specialized treatments and therapies, we provide a wide range of primary care screenings and physicals. One screening you should never skip is for skin cancer. 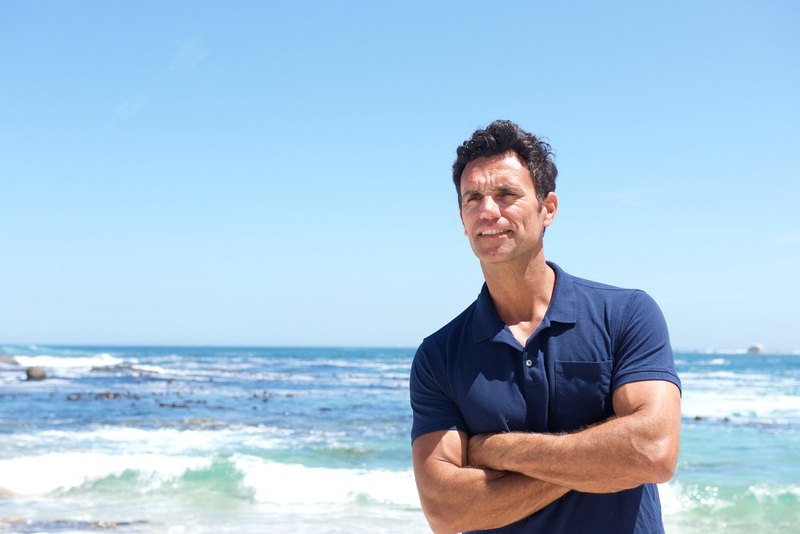 Men age 49 and under have a higher probability of developing melanoma than any other cancer. The majority of people diagnosed with melanoma are white men over age 55. An estimated 9,320 people will die of melanoma in the U.S. in 2018: of those, 5,990 will be men and 3,330 will be women. There are two types of skin cancer: Melanoma and Nonmelanoma. Nonmelanoma skin cancers are the most common and can be divided into two categories: basal cell carcinoma (BCC) and squamous cell carcinoma (SCC). They are usually not fatal. Melanoma is the deadly form of skin cancer. According to research, if you have had nonmelanoma skin cancers in the past, you may be at greater risk of developing melanoma in the future. Whether you’re fair-skinned or boast a darker hue, you are at risk of skin cancer. The sun causes most forms of melanoma – one study found that UV radiation exposure causes about 86% of melanomas. According to the Skin Cancer Foundation, on average, a person’s risk for melanoma doubles if he or she has had more than five sunburns, but any sun exposure damages skin. ANYONE can get skin cancer. While cumulative sun exposure mainly causes basal cell and squamous cell skin cancer, episodes of severe sunburns, usually before age 18, can cause melanoma later in life. Less common causes include repeated X-ray exposure, scars from burns or disease, and occupational exposure to certain chemicals. Some skin conditions and certain medicines (such as some antibiotics or hormones) may make your skin more sensitive to damage from the sun. Medicines or medical conditions (such as HIV) that suppress the immune system may make you more likely to develop skin cancer. Having scars or skin ulcers increases your risk. Exposure to a high level of arsenic (a poison that is sometimes found in well water or pesticides) increases your risk. According to the Skin Cancer Foundation, “Regular daily use of an SPF 15 or higher sunscreen reduces the risk of developing melanoma by 50 percent.” Also, when going outside, wearing long sleeves, long pants, and a hat that shades your face, ears, and neck with a brim all around will help reduce your sun exposure and your risk for developing skin cancer. Anyone with a significant history of prolonged sun exposure, whether occupational or recreational, should get screened regularly for skin cancer. If you have a suspicious skin lesion, you should definitely be screened. Patients with darker skin may be more difficult to assess, and those with more than 100 moles may be more susceptible to melanoma. Patients will undergo a completely unclothed skin exam as part of their skin cancer screening. At Optimum Mens Health, if we find something that looks suspicious, we will take a biopsy. A local anesthetic called lidocaine numbs the skin, and a slight stinging sensation may occur for several seconds. The suspicious lesion is then removed and sent to a lab for pathology. Results usually come back within 5-7 business days. If your screening is normal, we recommend an annual follow-up screening unless a concerning or suspicious skin lesion appears before then. If a lesion on the face or neck is a BCC or SCC, the patient will need Mohs surgery, also known as Mohs micrographic surgery. Mohs is a precise surgical technique to remove skin cancer. During this surgery, a Mohs surgeon progressively removes thin layers of cancer-containing skin and examines them until only cancer-free tissue remains. Lesions below the collarbone will typically be removed through simple excision. Melanoma is more complex and can involve excision alone or excision and regional lymph node dissection as well as other forms of chemotherapy. Can you tell if it has spread to other areas of the body? A pathologist will inspect the tissue to give a full diagnosis. SCC can metastasize, usually through nerve invasion, but BCC very rarely spreads. With melanoma, you can’t tell visually whether the disease has spread. In this case, further testing is required including: PET scan, lymph node dissection, and/or other various scans. Optimum Mens Health continues to provide patients with a one-stop office visit. Scott Jarrell, PA-C, has a background in surgical and medical dermatology with a specialization in skin cancer detection. He also worked side-by-side with a board certified dermatologist and Mohs surgeon for three years. Optimum Mens Health has partnered with a local Mohs board certified dermatologist and Fellowship-trained Mohs surgeon specializing in the treatment of skin cancer and surgical reconstruction. This partnership provides efficient results and quick action for those patients needing to be referred. For more information on screenings, diagnoses, and treatment options, visit the Skin Cancer Foundation or give us a call at Optimum Mens Health. Skin Cancer Foundation. Skin Cancer Facts & Statistics. WebMD. Does Skin Cancer Lead to Other Cancers? National Cancer Institute. Anyone Can Get Skin Cancer. Medicine Net. Cosmetic Procedures: Sun Exposure and Skin Cancer.